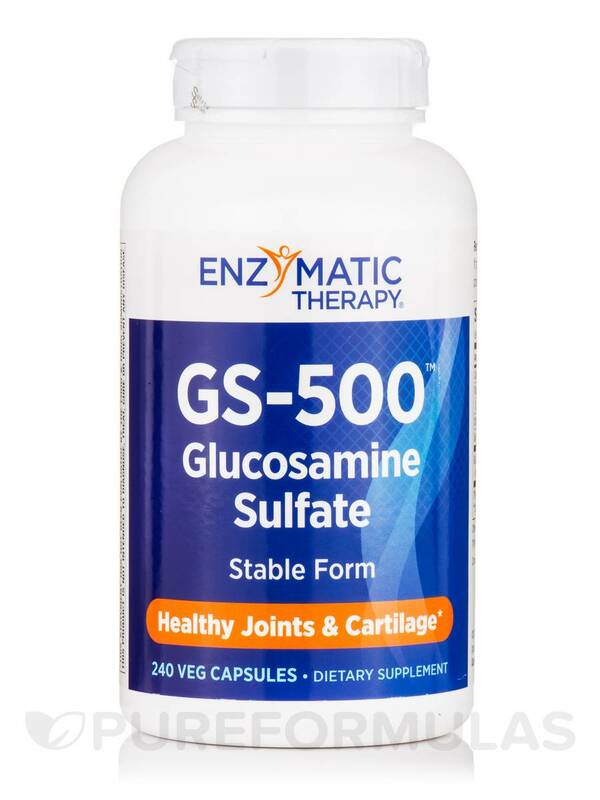 GS-500 by Enzymatic Therapy supports the development of joint cartilage. 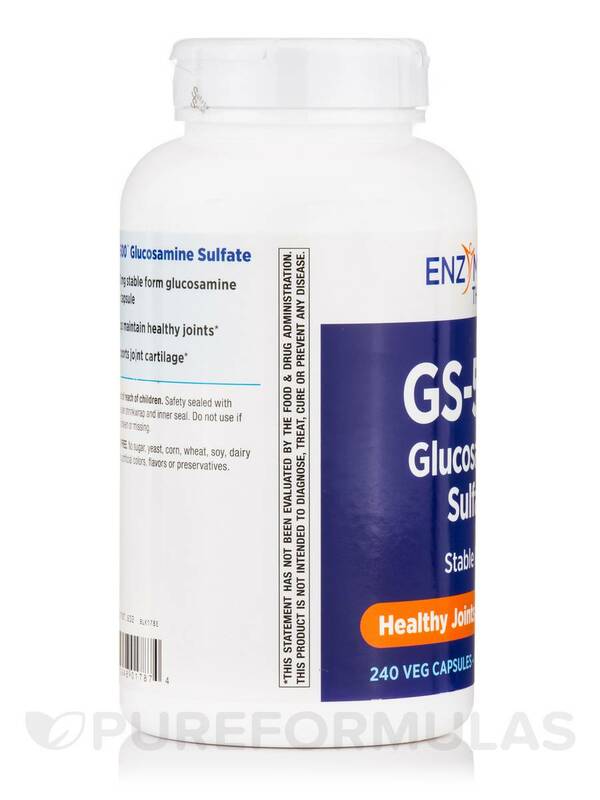 GS-500 helps maintain healthy bones and muscles. 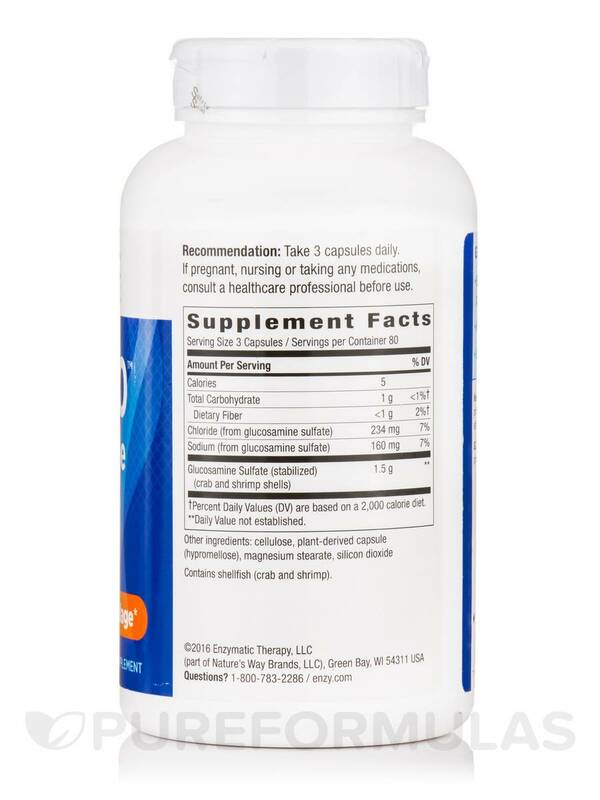 Glucosamine Sulfate monitors the liquid balance in the body. Sodium is an important mineral in the central nervous system. Sodium is also used in rehydration therapy. 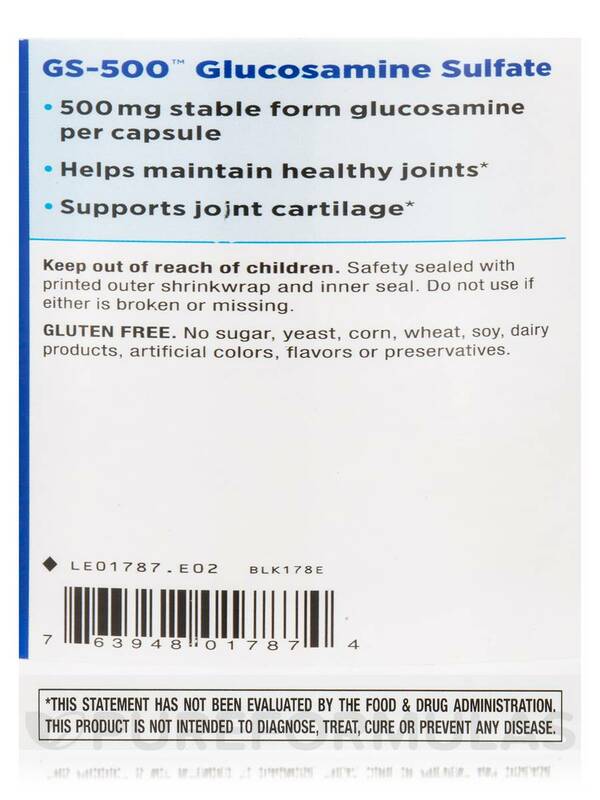 Glucosamine Sulfate prevents joint friction and the pain of stiffness. Chloride may prevent heart problems and decrease the risk of diabetes. Chloride prevents losing fluids in the body. Silicon Dioxide possibly produces strong bones and muscles. 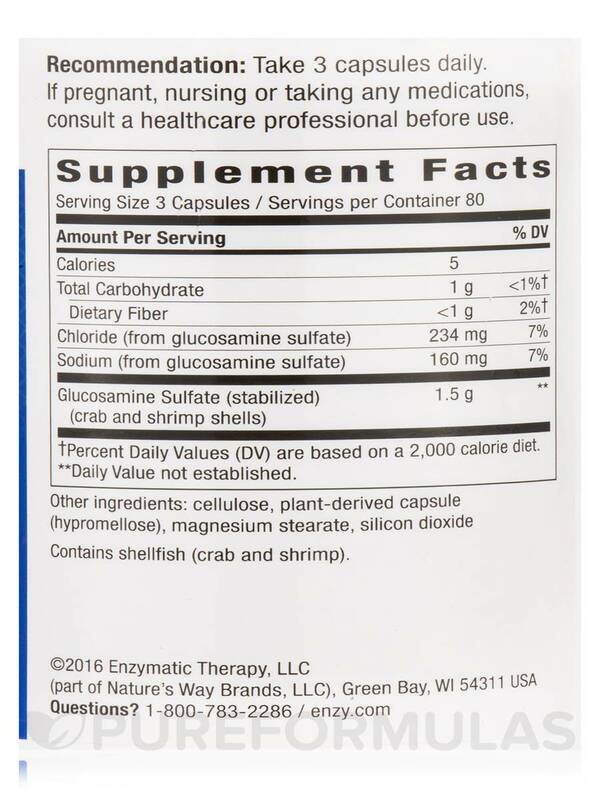 GS-500 enhances the bones and muscles‚ and supports the heart.